Once Upon a time, Mayer Hawthorne was the DJ for the hip-hop group, Athletic Mic League and was known as DJ Haircut. Evolving from this professional start, Andrew Mayer Cohen has honed his chops into the current neo-soul format. Seen, heard and signed by Peanut Butter Wolf of the Stones Throw imprint in 2008, Mayer Hawthorne has developed a full live band format for tours and a few recorded pieces called The County. Together they delivered a crowd moving multi-dimensional performance. 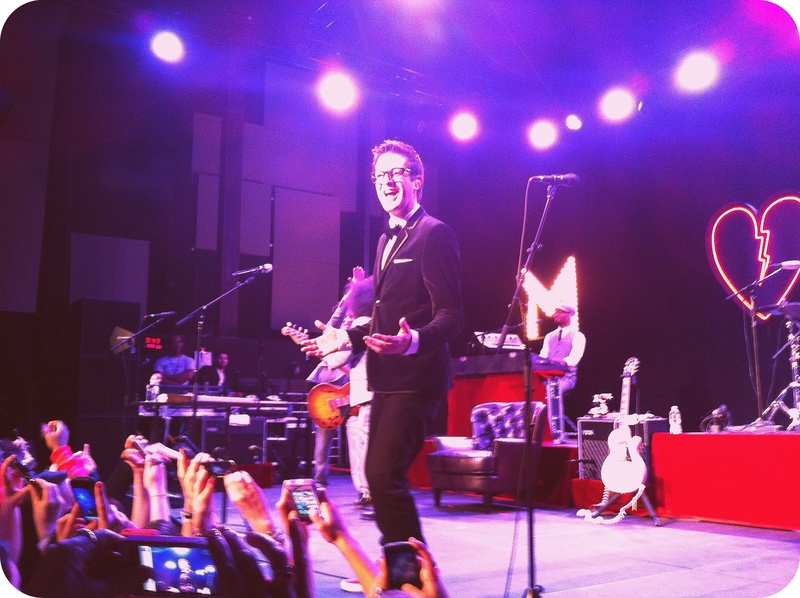 Mayer Hawthorne and The County’s April 18th set at Union Transfer in Philadelphia was indicative of their typically intimate design. Crooning from a lush retro-stage setup replete with leather study chair, 50’s-esque lounge decor and illuminated MH and heart logos affixed against the stage back, Mayer Hawthorne brought the crowd into his performance. The County did the same. The Mayer Hawthorne compliments consisted of bassist, guitarist, electric pianist and drummer. All dressed to the nines, The County provided a great soundtrack to the vocal and guitar prowess of Hawthorne. Highlights of the evening were an audience member using an iPad at the stage front and being called out for it (we caught that on video below), crowd photo opps provided by the band, hearing most every song in the MH catalog, and Hawthorne’s red shoes. You have not heard Nomad Tam you say? Well that’s just crazy. We hope that you will in time. These guys are a brand-new 5 piece from the outskirts of Philly consisting of piano and synth players, Jared and Jon Pfancook, guitarist Mike Vigilante, bassist Nate Matulus, And percussionist Tommy Seman. Nomad Tam can rock out, hard. They play original material. Their sound is upbeat jam band and they can bring down the house. Infusing Funk, Rock, and Trance sounds it’s hard to compare them to anyone in the scene today. We really enjoyed these guys and were overjoyed to see them come on for an encore performance and a whole second set later in the evening on September 22nd.